Tomorrow is St. Patrick’s Day, which is most often associated with the colour green. 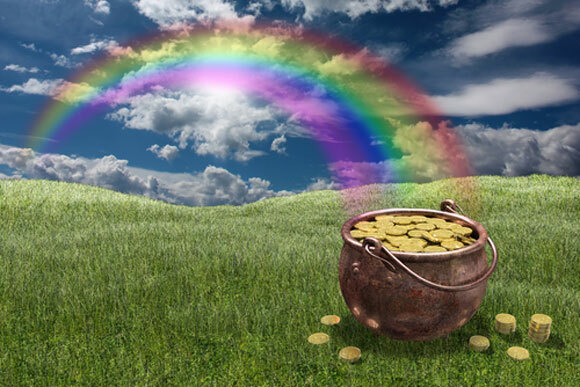 But don’t forget what all those drunk leprechauns are (theoretically) searching for as they stumble the streets of their respective cities (other than their lucky charms) – that elusive pot of gold at the end of the rainbow. Plus, we did the green jersey thing last year. And just like green jerseys, the league hasn’t seen a ton of gold jerseys, probably because it’s not easy to pull off a successful gold jersey. But some teams have done it. And luckily, there’s been more than five teams that have done it, so we’ve picked the best five. Okay, hold on, before you click the X in the corner of your browser after seeing this, I’ve got a good defence. 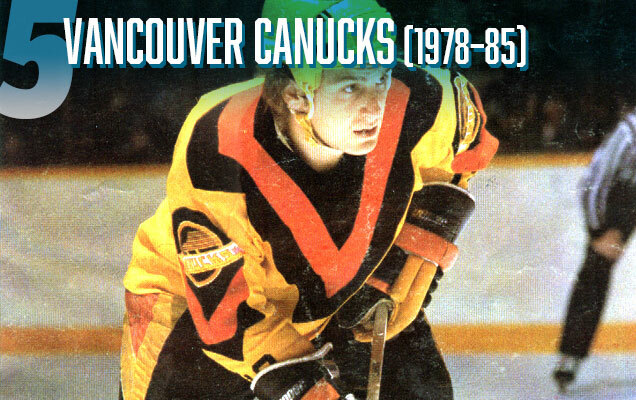 There has arguably never been a more distinctive and unique jersey in all of hockey as this one. 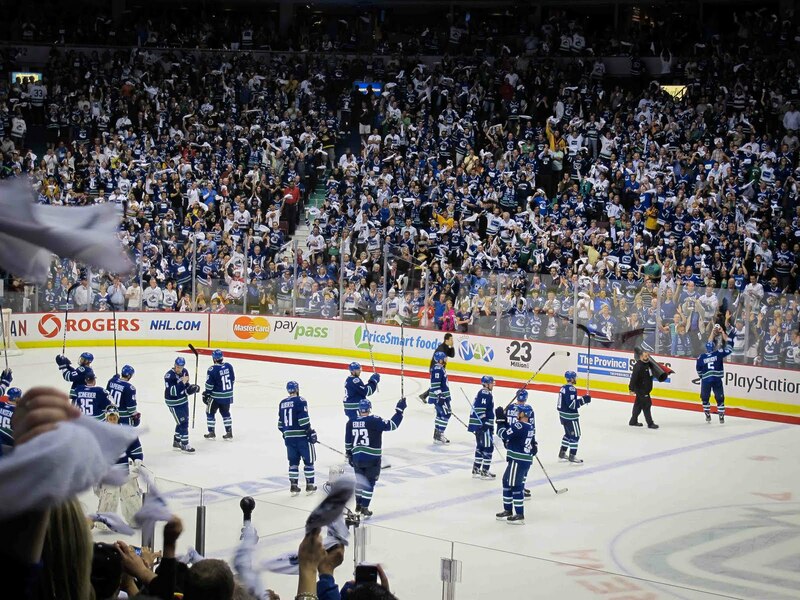 There are two people wearing this jersey in this photo of the crowd at Rogers Arena. My guess is you can find both of them within about 8 seconds. Yes, it’s weird and sticks out, but that’s also what makes it absolutely great. From a design standpoint, the simplicity of it is really stunning. You have strength, you have movement, you have aggressiveness. There’s even a certain gracefulness to it and its incredibly distinctive. The lack of piping along the bottom of the jersey doesn’t bug me at all, as it would just take away from the awesome simplicity of the V. It’s the greatest thing going for this jersey. And it’s incredibly unique. Not many teams – before or after – moved their main logo to the arms to make way for what’s essentially a design element. I would’ve loved to be in those meetings between the designers that created it and the team, because they must have done an incredible Don Draper-style selling job on it. Getting teams (or any company for that matter) to break the mold and try something completely new is not an easy task. 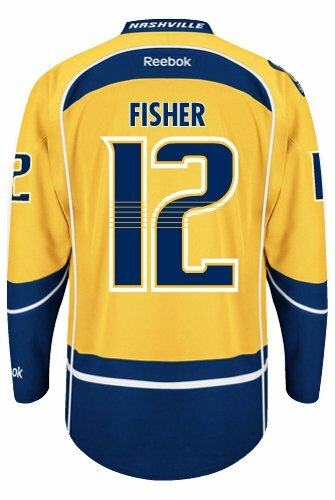 It’s definitely not the greatest gold jersey to grace the league, which puts it at the bottom of this list, but it’s distinctive and creative and has an elegant simplicity to it, and that gets it points..
Another slightly controversial pick, but the Predators have been quietly playing in one of the best contemporary jersey sets in the league. They’re unique, innovative, a great mixture of traditional and contemporary, and a great balance between minimalist and detailed. And they’re the only team in the league right now that’s rocking the gold jerseys (full-time), so it’s theirs to own, and they’re owning it well. They’ve fully embraced the hemlines of the new jersey designs, with the thin stripe going up the sides to the collar, but have modified them so they actually frame the logo/nameplate-numbers in a less obtrusive way that doesn’t cause any awkward issues with the captaincy markers. Only team in the league to do anything like this. And I don’t mind it at all. The detail of 6 guitar strings going across the numbers is fantastic as well. It’s an extremely subtle but unique detail that symbolically connects the jersey to the team’s city. I’m not sold on the gold helmets with the gold jerseys though. 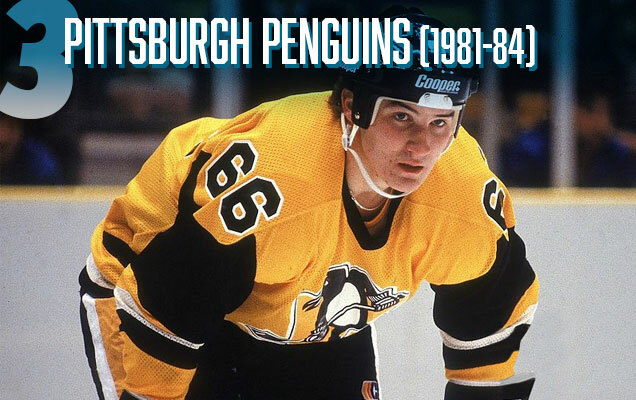 The Penguins enter the list with a jersey that’s audacious enough to be impactful and memorable, and even ahead of its time in many ways. The Pens had been very experimental with their jersey design in their first few decades of existence, coming out with something new every couple seasons, and here that experimentation comes full force, with angled striping on the sleeves, with the shoulder yoke merging with the base and the sleeves getting their own colour, and of course, using a jersey that’s not white at all, which was relatively rare and unheard of at the time…and even today generally. It’s a bit of a mishmash of different experiments, but it’s one of those rare cases where things are so bad or different from the norm, they’re actually pretty good. The striping is fairly consistent – albeit with a bit too much of it – but because there’s no shoulder yokes to speak of, it’s seems more subdued than it really is and actually works to frame the centre crest of the jersey. The simplicity of this jersey is actually pretty gorgeous. Gold with a solid purple stripe on the sleeves, collar and bottom. Simple, effective and – because of the intensity of the colours – it doesn’t need anything else. Anything more would be detrimental. 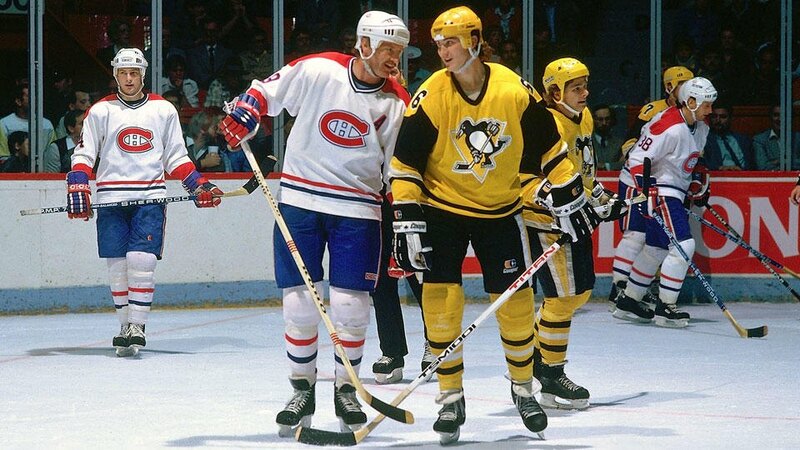 And the colours are distinctive in the NHL, with no other team ever having this colour scheme and it’s unlikely any other team will for a long time (if ever). The simplicity of it really works in another way: there’s not too much of one colour to compete with the other, which is especially important when using complimentary colours (which purple and yellow are), where one colour needs to be the obvious dominant one to really work together well, and this jersey does that well. 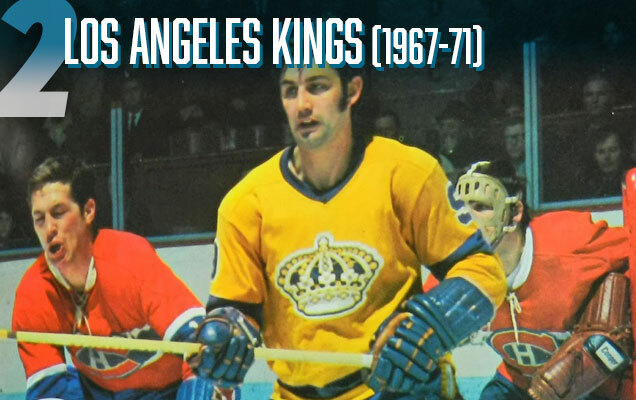 It’s a classic, iconic jerseys that the Kings have been bringing back in recent years. 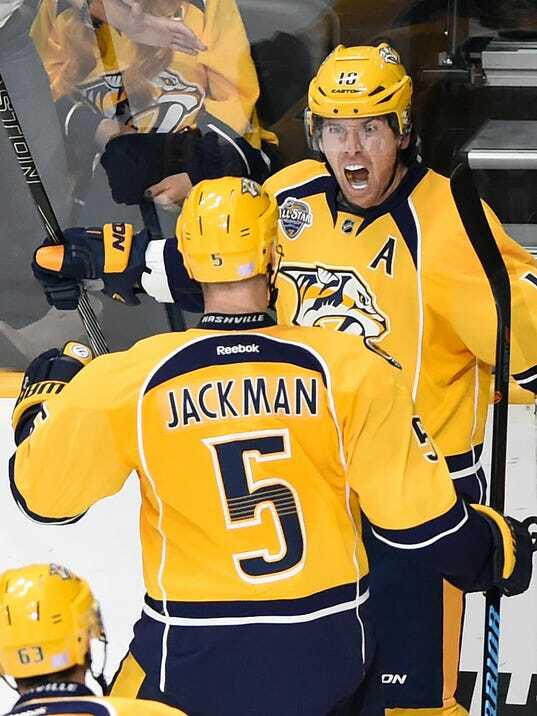 I wouldn’t be too upset if they got brought back full time over their monochromatic jersey set they have now. 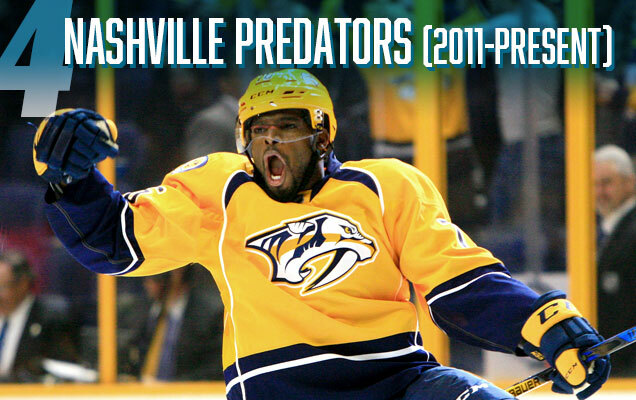 • More: What If…More Teams Embraced Color? 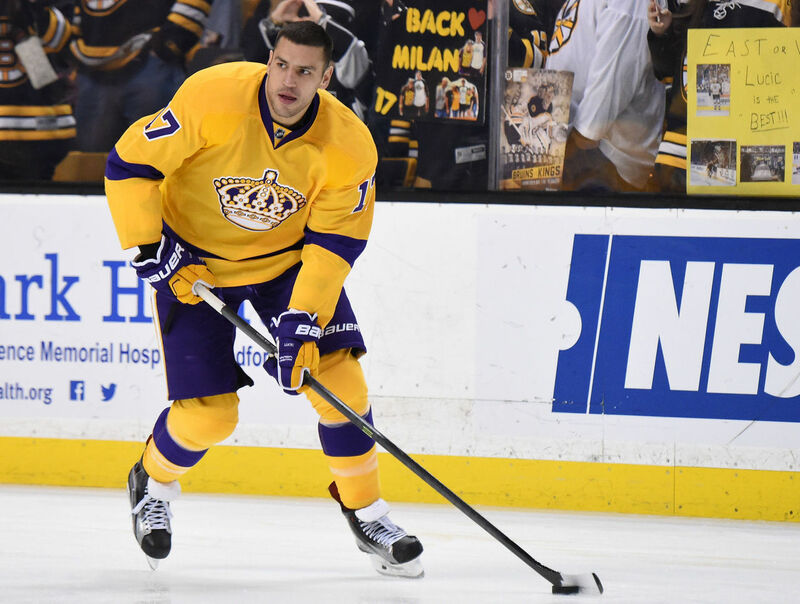 Nobody rocks the black and gold quite like the Bruins do (sorry Pens fans). And while these days they rock more black than gold, this wasn’t always the case. 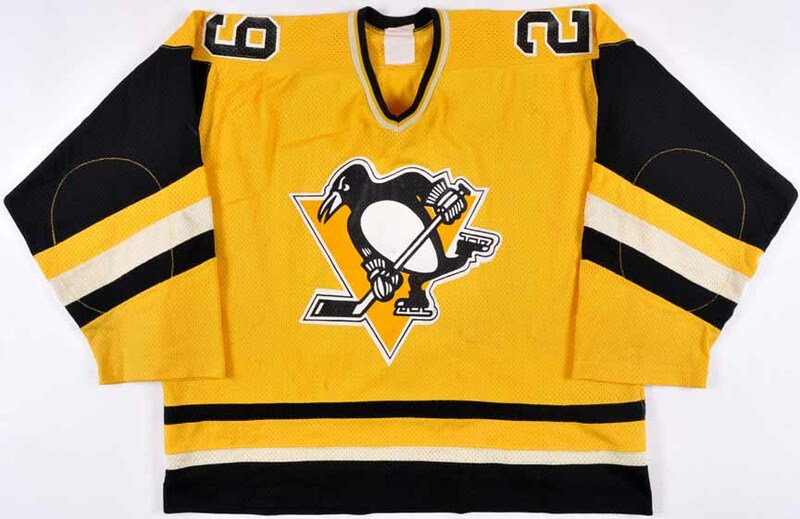 In the 1950s and ’60s, a gold jersey was in their regular set instead of a black one, including 1967, the rookie year for one the best players to ever lace up the skates (see above). 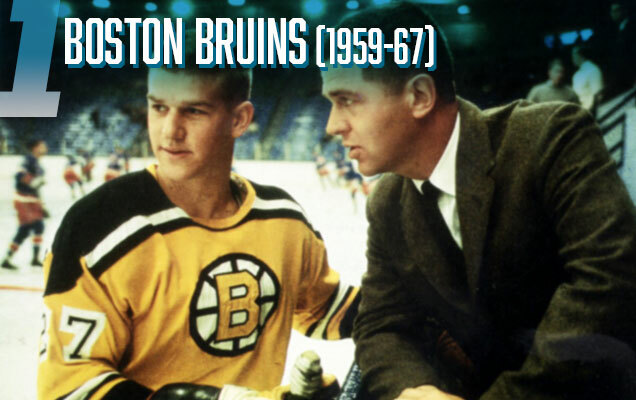 It also represents the best of the gold jerseys that the Bruins have ever worn, with simple and consistent black/white striping across the sleeves and jersey bottoms, as well along the shoulder yokes. 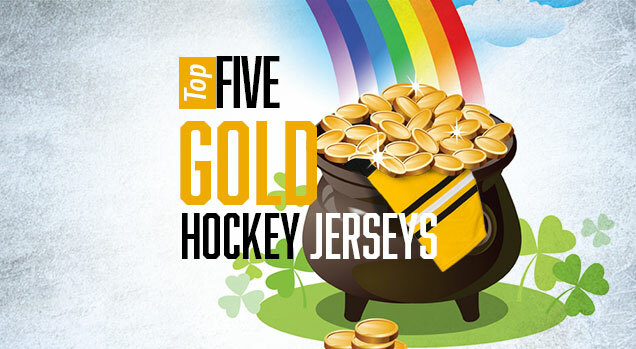 What becomes apparent in this list is that the bright intensity of a gold jersey is best-matched with black to create a jersey that’s the visual equivalent of getting punched in the face. 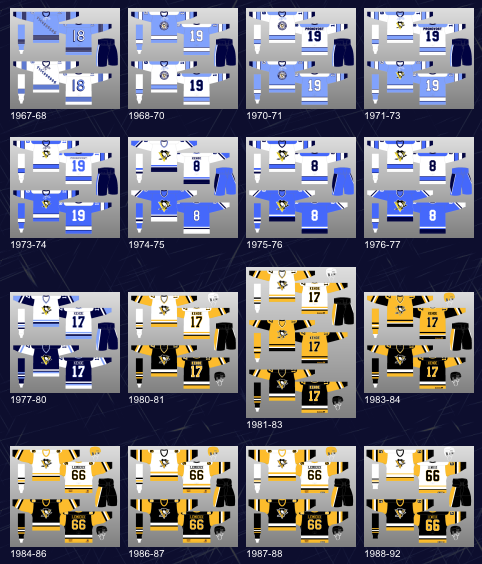 Match this with one of the Bruins’ best iterations of their logo and you got a jersey that’s not only one of the best gold jerseys to ever exist in the league, but one of the best ever period.